I think all my visitors know these rules because everyone has seemed to follow them. Roommates visitors, however, show me we all still have stuff to learn so I’m posting the following which is mostly from this site with a few addendum on my part. Do ask your patient’s permission to visit before you arrive. Ask her to be candid with you, and if she prefers you not visit, ask her if another day would be better, or if she would prefer you visit once she gets home. Many patients love visitors, but some just don’t feel up to it. Do your patient the courtesy of asking permission. Do wash your hands and sanitize them before you touch the patient or hand the patient something you’ve been touching. If you wash your hands, then touch something else, like a telephone or TV remote or even the bed linens or your jacket, wash your hands and sanitize them again. Infections come from almost any source and the pathogens can survive on surfaces for days. You can’t risk being responsible for making your favorite patient even sicker than she already is. Plus, you don’t want to take anything home with you. Do turn off your cell phone, or at least turn the ringer off. Different hospitals have different rules about where and when cell phones can be used. In some cases, they may interfere with patient-care devices, so your patient can be at risk if you don’t follow the rules. In other cases, it’s simply a consideration for those who are trying to sleep and heal and don’t want to be annoyed by ring tones. Do stay for a short time. It’s the fact that you have taken the time to visit, and not the length of time you stay, that gives your patient the boost. Staying too long may tire him out. Better to visit more frequently, but for no more for a half an hour or so each time. Don’t take young children to visit unless it’s absolutely necessary. Even then, check with the hospital before you take a child with you. 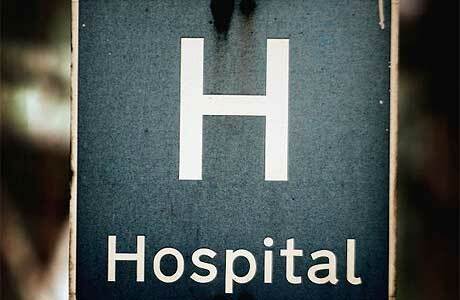 Many hospitals have restrictions on when children may visit. Don’t take food to your patient unless you know the patient can tolerate it. Many patients, especially those with certain diseases or even those who have recently had anesthesia for surgery, are put on special diets while in the hospital. our goodies could cause big problems. Don’t visit if your presence will cause stress or anxiety. If there is a problem in the relationship, wait until after the patient is well enough to go home before you stress her out by trying to mend that relationship. Don’t stay home, on the other hand, because you assume your friend or loved one prefers you not visit. You won’t know until you ask, and your friend or loved one will appreciate the fact that you are trying to help her by asking the question. Don’t smoke before visiting or during a visit, even if you excuse yourself to go outdoors. The odor from the smoke is nauseating to many people, and some patients have a heightened sense of smell while taking certain drugs or in the sterile hospital environment. At most it will cause them to feel sicker and if your friend is a smoker herself, you’ll cause her to crave a cigarette, and that may be problematic. Thanks, Scott for the useful tips about visiting in the hospital. Would be helpful for family members, not just friends. Not that I”m telling what to do (I’m sure you have enough people doing that already), but maybe also write a list about visiting a transplant patient at home (practical things to do, such as offering to take the dog for a walk). I am reposting this mostly for those visiting my friends who had their transplants recently. Scott, these are so good. Here’s one I would add, both as a nurse, and as the family member of one who spent a month in the ICU and then another month before leaving the hospital. When you visit, bring reading material; stuff that can be read in short bursts of time, like magazines, and inspirational short story collections. If your friend who is too sick to enjoy them, then chances are that their family member is in need of something to do while your friend is sleeping. Hospital magazines tend to be outdated and bedraggled, and it seems inevitably that the one article you want to read finishes on the page that is missing.